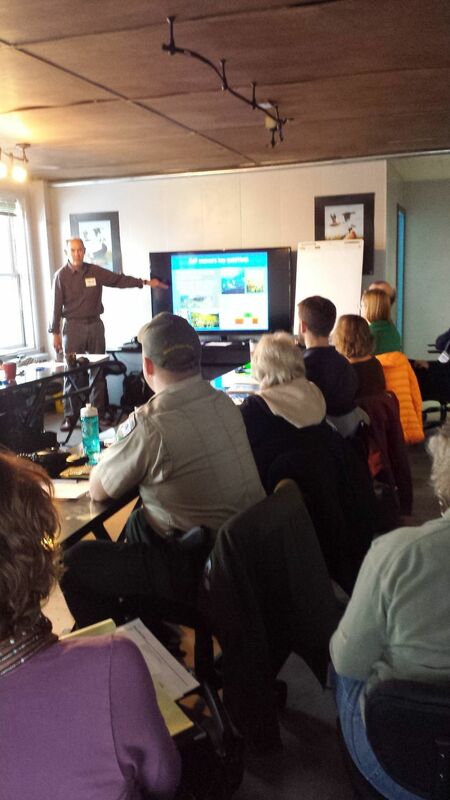 This process included three, 2.5-day workshops with the planning team to target areas in the Chena River Watershed (focusing on ecosystem-level resources), assess current and projected future health of the resources, identify critical threats, and develop conservation strategies to enhance health and abate threats. The workshops were held in November of 2014, February of 2015 and April of 2015. The following are seven objectives and a few of the action bullets the working group determined were viable steps to improve the health of the Chena River. The following first draft of the Watershed Resource Action Plan was released at the 2015 Chena River Summit. The following ten page summary includes the overview objectives. This year ESCAPE started a grassroots program called CREWS. It came about because of the need to collaborate resources in Interior Alaska with regards to scientific research and in the field studies. The ESCAPE partners get together annually (before the field season) and pool their resources together to help further research and education. Think of it as a mini showcase of the different non profits or agencies that do scientific studies or field work and benefit from networking or sharing resources. Click HERE to RSVP for this year's CREWS event. Buffers of healthy native plants growing between human development and waterways benefit both animals and humans. A healthy watershed provides critical wildlife habitat, filtration of pollutants, and erosion prevention. Click HERE to learn more about what ESCAPE & WRAP are doing.